1. What Is Capital Gains Tax on Real Estate? 2. What Is Unrecaptured 1250 Gain? 3. What Are the Benefits of Long-Term Capital Gains? If you live in Colorado, you pay a state income tax of 4.63 percent on your federal taxable income each year. But you can offset some of your taxable income by subtracting a few state-specific tax credits, each of which is subject to change from one year to the next. Common deductions include interest or dividend income, pension or annuity income, school retirement contributions and certain capital gains. Those who live in Colorado will pay both federal and state tax on those capital gains, so it’s important to know exactly what those rates are before selling any property. Colorado taxes capital gains as defined by the IRS at a rate of 4.63 percent. If you live in the state of Colorado and sell an asset at a gain, you’re required to report the amount both on your federal and state taxes. But the State of Colorado doesn’t expect residents to pay taxes twice on their earnings from those sales. To avoid that, you’re allowed to deduct the gains you reported to the IRS on your state income tax form. To determine whether the item you sold qualifies for a capital gain, you’ll follow the IRS rules for the sale of assets. In other words, if you’re required to claim the transaction on your federal taxes, you’ll need to duplicate that when you file your state taxes. Often whether you need to pay capital gains on the sale of property relies on how long you owned it before the sale was completed. 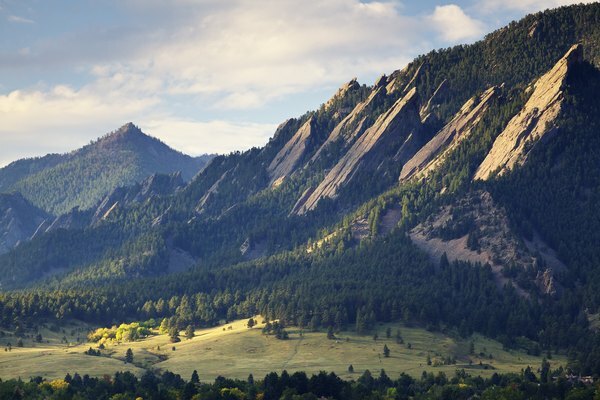 In Colorado, you’ll pay capital gains taxes at the same rate you pay on your general income. This is 4.63 percent, putting it on the lower end of the states that do tax residents on capital gains. California is the highest, at 12.3 percent, while North Dakota is the lowest, at 2.9 percent. However, there are many states that charge no local tax whatsoever on capital gains, including Alaska, Florida, Nevada, New Hampshire and South Dakota, among others. It’s also important to look at the combined capital gains tax. The federal, state and local capital gains tax is combined to make one large sum, and that sum in Colorado is 29.63 percent. This is also on the low end, compared to the whopper California residents pay on capital gains of 37.3 percent and Oregon’s 34.9 percent. There are two types of capital gains taxes: short term and long term. If you sell an item after a short term of ownership, you’ll be taxed at a different rate than if you sold it soon after gaining ownership of it. Capital gains taxes generally apply to investors, although they can also affect everyday taxpayers, as well. If you buy a home and sell it at a significant profit within a year, you may have to worry about short-term capital gains taxes. If you sell it at a significant profit after that first year, long-term capital gains may apply. But most of the time, you won’t have to worry about capital gains tax unless you’re an investor. The IRS allows you to exclude up to $250,000 of capital gains on real estate if you’re single or $500,000 if you’re married filing jointly. However, you’ll lose that benefit if the home wasn’t your primary residence, you owned the home for less than two years in the five years before selling it, you didn’t live in the house for at least two of those years, you already claimed the exclusion on another home in the past two years or you swapped the home in a 1031 exchange. You also won’t qualify for the exclusion if you are subject to expatriation tax. Aside from your home, if you own one, your most valuable asset is likely your vehicle. You likely already know that it’s very rare that a car gains value over its lifetime. In fact, a new car will lose 10 percent of its value when you drive it off the lot and continue to lose value in the years immediately following. By the end of the first five years, that car will have lost 60 percent of its total value. This is good news when it comes to taxes, since you generally won’t have to worry about capital gains tax. However, there are instances where a car can appreciate enough to enact capital gains tax. If you get a great deal on your car or you restore a classic automobile, you may find that you’re able to actually make money on that sale. You’ll need to calculate the amount you paid for the item, minus any work you put into it to improve it – basic maintenance and mechanical repairs don’t count – and pay capital gains tax on the amount you made when you sold it. Colorado capital gains taxes don’t just apply to people who live there full-time. If you sell an asset in Colorado and earn qualifying income on it, you’ll be responsible for filing the gains with the IRS and the State of Colorado and paying any applicable taxes. This applies whether you’re a full-time resident, a part-time resident or simply someone who put something for sale online and happened to find a buyer in Colorado. However, unless you’re a full-time Colorado resident, you may not be responsible for the entire amount. If you’re a part-time resident or nonresident, you will get credit for other taxes you pay on the capital gains to avoid double taxation. You’ll report the income on Form DR 1316, which is the Colorado Source Capital Gain Affidavit. This form will help you calculate how much you owe based on the asset you sold during the tax year. Be sure you’re specific about the type of asset you sold and double-check your numbers to avoid a delay. The good news is, Colorado lets you deduct capital gains tax you paid on a federal level, so you may find that you don’t owe as much as you thought you did. The State of Colorado refers to these as “subtractions” and they can save you money, as long as you qualify. You’ll claim those subtractions using Form DR 0104AD, Subtractions from Income Schedule. The information on the subtotal line must match the amount you enter on “subtractions” on DR 0104, which is the form you submit summarizing all of your income for the tax year. There are limits on those who can claim subtractions against the capital gains they earn. The deductions only apply to individuals, businesses or estates that owe no back taxes. You’ll also only be able to claim the subtraction if you owned the asset five years or longer and acquired it on or after May 9, 1994. Before you can calculate the capital gains tax rate in Colorado, you’ll need to know the value of the asset you sold. The IRS, and by extension the State of Colorado, use something called “cost basis” to determine what an asset is worth. Cost basis is simply the original amount you paid for the item, adjusted for any improvements you made and depreciation of the asset. If you bought a house in 2000 for $200,000 and sold it for $500,000, exceeding the $250,000 exemption allowed to you as a single taxpayer, you could look at its value and subtract any money you put into renovating the house over the years. This could put you below the exemption, allowing you to forgo paying capital gains tax in that tax year, as long as you meet all the other requirements. Although you’ll only pay 4.63 percent to the State of Colorado, the IRS taxes some items at a much higher rate than others. This will bump your combined total capital gains tax higher. Collectibles fall into a category that the IRS taxes at a maximum 28 percent rate and include coins, movie memorabilia and artwork. This applies to collectibles you’ve held for more than one year before selling. If you sell the item within the first year, this is a short-term capital gain and will be taxed at your regular income tax rate. In order to figure the taxable value of your collectible, you’ll need to determine its cost basis. This means looking at how much you spent when you purchased the item, minus any fees you paid. You’ll then look at the amount you received when you sold it and report the capital gains on the difference. If someone passed the collectible along to you, you’ll need to research the fair market value of the item on the date you inherited it. You may be able to determine this value through research but if not, a professional appraiser can help. There are a few things you can do to minimize your capital gains tax from one year to the next. The best thing you can do is research your full tax liability before putting an asset up for sale. This applies to your stocks and other investments, as well as assets like your home. Simply knowing what you’ll owe will help you make the right decision. It may be that you choose to hold on to the asset for a while longer until you can afford to pay taxes on the gain or perhaps until tax laws change in your favor. Instead of holding onto certain assets, you may feel it’s wise to reinvest your earnings in other areas. You can do something called rebalancing, where you shift high-performing investments into investments that aren’t doing as well. This may help you boost your portfolio while also avoiding capital gains taxes. Tax-advantaged accounts like 401(k) plans will also keep your gains safe from taxation while putting them in an account that will grow tax-free. As a bonus, that money will also be there for you when you’re ready to retire and enjoy your golden years. It’s rarely good news to lose money on an asset. However, it could help you if you’re dealing with a tax year where you achieved significant capital gains. If you know you’ll likely have a big loss on an asset when you sell it, the year you’re dealing with those capital gains may be a wise year to put the item up for sale, provided you’re ready to do so. Unfortunately, though, there is a cap on how much of your capital loss you can use to offset your capital gains in a given year. The IRS limits you to $3,000 and only if your capital losses exceed your capital gains. But the good news is, if you have more than $3,000 to claim, the IRS lets you carry it over to the next tax year, where you can make up for some of that loss. If you don’t use it in the subsequent year, you can once again carry it over. Yo Expert: Do Non-Residents Pay Colorado Capital Gains Tax? Wipfli: Do You Know the Tax Impact of Your Collectibles? What Does Reinvesting Capital Gains Mean?